All spa treatments have to be booked at least 1 day in advance to avoid disappointment. 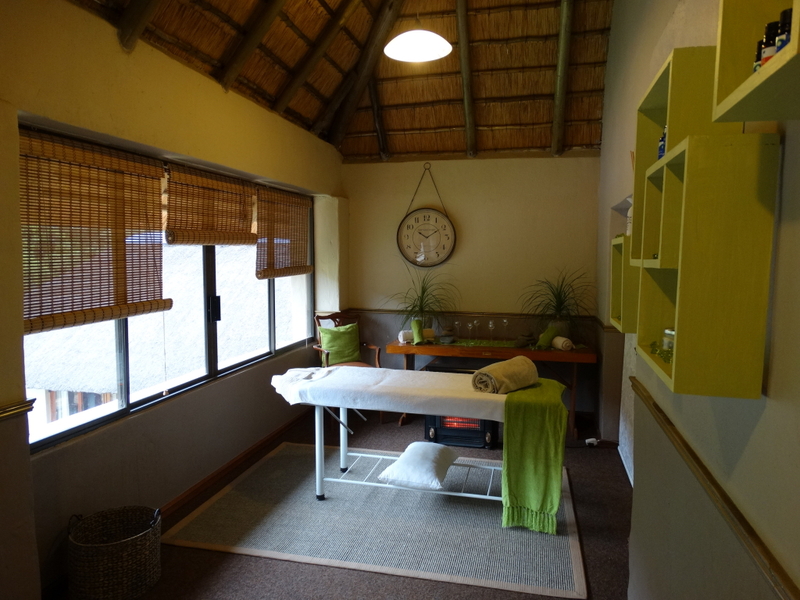 Komati Gorge Retreat is one of the few Lodges with a Spa in Mpumalanga. 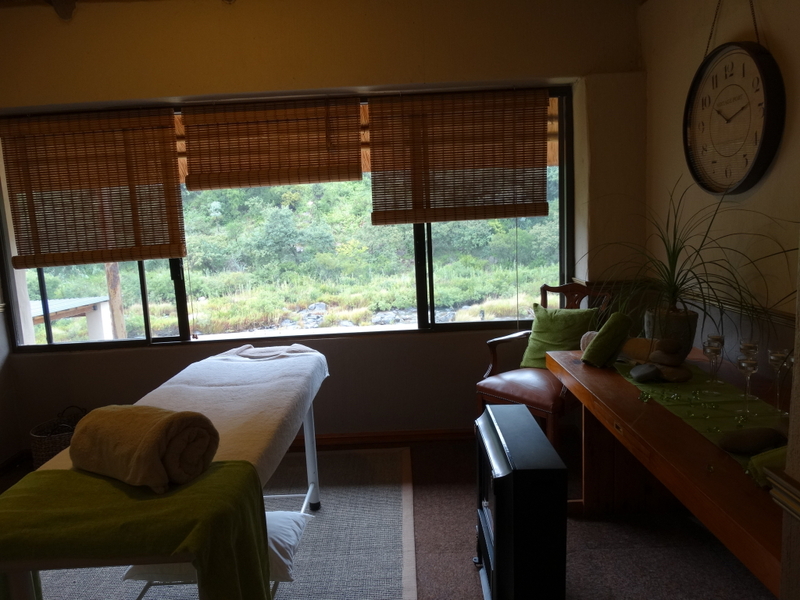 We offer various spa treatments, including a full body Swedish massage, full body Aromatherapy massage, back neck & shoulder massage, Indian head massage and a foot massage. As far as spa’s go, you can be sure to unwind at our luxury spa in Mpumalanga. A deep tissue massages releasing muscle tension and promoting relaxation. A soothing massage using a blend of pure aromatic oils in a carrier oil to either relax or rejuvenate the body. A deeply relaxing massage easing stressed and tense muscles. Concentrating only on the scalp for a soothing and stimulating treatment. Relax and restore the body to balance by applying firm pressure to the feet. A soothing massage using techniques from aromatherapy but with the sensation of hot stones. The aim of this massage is to relax the entire body. This is accomplished by rubbing the muscles in the direction of blood returning to the heart with long gliding strokes. But Swedish massage therapy goes beyond relaxation; it helps to drain your lymph node system as well. Be sure to hydrate well before and after your massage to assist with the flushing out of toxins. This will also relieve some of the tenderness that you might experience after your massage which is a common occurrence, especially if you had some knots that the massage therapist had to work out of your muscles. If you are unlucky enough to suffer from chronic muscle pain, you should consider having a deep tissue massage which is another form of Swedish massages. This technique is considerably more intense and vigorous therapy for muscle pain relief and you would need a few deep tissue massages to treat this condition. 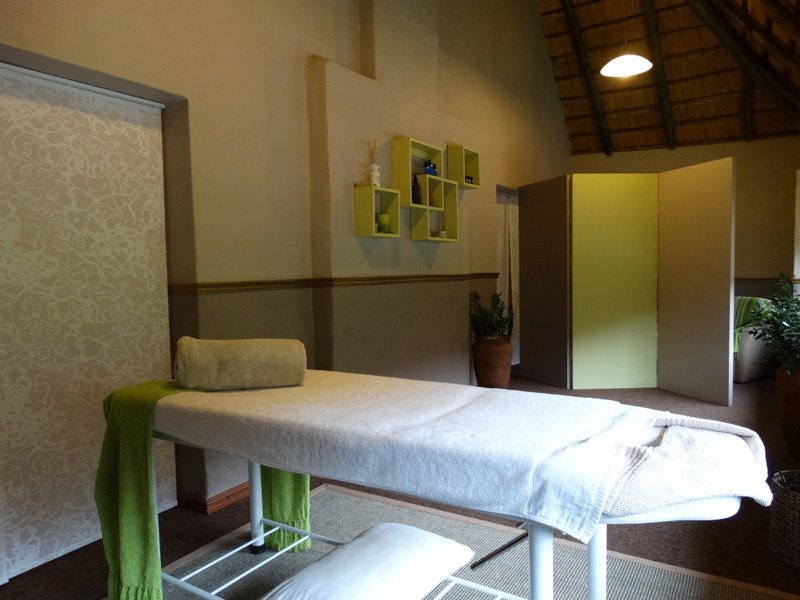 Our spa in Mpumalanga can relax your muscles for you. Aromatherapy is the use of all kinds of essential oils. It is an alternative therapeutic method that combines the healing power of massage therapy with the natural therapeutic properties of essential oils. These oils are made from concentrated essences of flowers, seeds, fruit, leaves and bark of certain species of plants. About 40 out of the 400 existing essential oils are commonly used in aromatherapy. The aromatherapist at our 4 Star Spa in Mpumalanga can boost your well-being, help to refresh your body and relieve your stress. The oils are usually mixed with a carrier oil like grapeseed, apricot kernel, or sweet almond oil. For a relaxing massage, the massage therapist will use lavender or bergamot oils whereas a massage to soothe achy muscles will have peppermint or eucalyptus oils mixed in it. An aromatherapy massage therapist will enquire about the desired outcome you long for. Your needs will vary according to the current mental and physical state you’re in. If you crave some relaxation, but you don’t necessarily have time for a full body massage, this spa treatment is your ideal solution. Especially if you have a localised ache in your back, neck or shoulders, our massage therapist will focus on soothing your pain for a full 30 minutes. It is common for people to carry tension in their neck and shoulders. Daily stress tends to cause the muscles to tense up and at our 4 Star Spa in Mpumalanga, we can unwind and relax those muscles for you. Indians have practiced this ayurvedic method of relaxation for centuries and they benefit from the healing and relaxation it offers every day. It is a ritualistic exercise practiced at weddings, births and even just when you visit a barber in India. There are many benefits of a foot massage performed by our Spa’s qualified massage therapist. 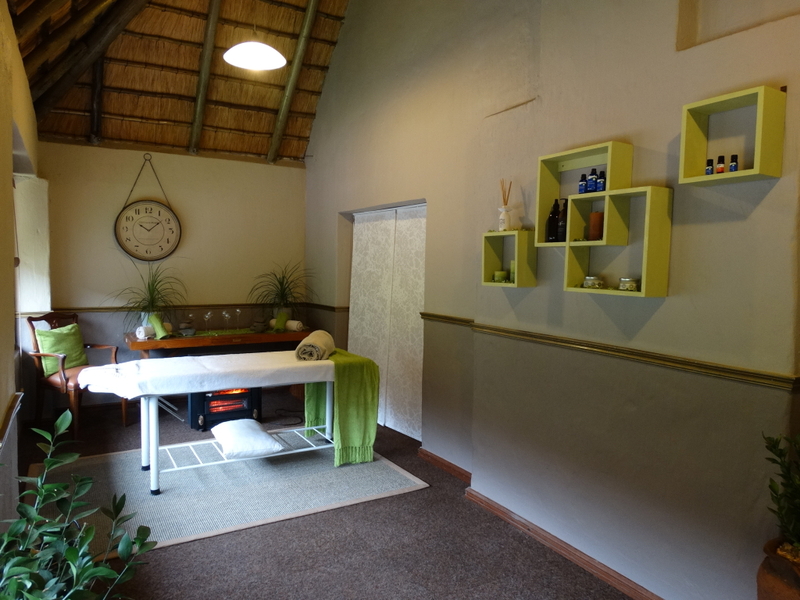 As in any other spa in Mpumalanga, you will be required to sit back and relax before the massage is performed. Designated pressure points on your feet that correlate with specific parts of your body will be targeted and an all-around relaxing experience awaits you. It improves circulation which is restricted by our footwear and the fact that most people don’t do nearly as much exercise as they should. It is highly recommended for diabetes sufferers who struggle with circulation. Reflexology – the art of manipulation pressure points in the feet or rest of the body – has been proven to reduce anxiety and even depression in patients. If you suffer from headaches or even migraines, our massage therapist can focus on pressure points on your feet that relieve the pain and promote well-being. The extreme relaxation coupled with a foot massage at least three times a week has shown to lower blood pressure in patients that struggle with stress and anxiety. Pregnant women can also benefit greatly from foot massages, especially to relieve symptoms of edema – swelling caused by fluid retention – in the final trimester.